I always enjoy checking out photographs from all over the world. This website I just stumbled across- Amusing Plant - is a good spot to do just that. 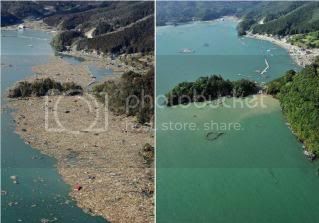 I was enthralled with the 3 month later shots of Japan after the initial clean up efforts. Like they say, it is amazing to see the different areas and how the process is moving along. The sad part is the areas that look like they haven't had much repair. Amusing Planet also had a post of before and after satellite photos of the damage. I also enjoyed looking through the photos that they posted from Red Bull Flugtag (which I saw once in Portland!) The flying machines that people build are always fun to see.... even if none of them actually make it very far. 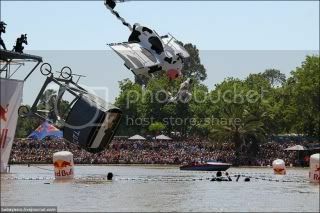 From what I remember of the Flugtag event I went to - most of the machines end up nosediving into the water (like this cow looks like its about to do.) But its still a good time! If you're near Tampa in October... you should check out the US event! Anyways back to Amusing Planet... great site to check out for pictures from around the world.